It's a shame that so many photographers miss out on having a professional online portfolio that does justice to their work. 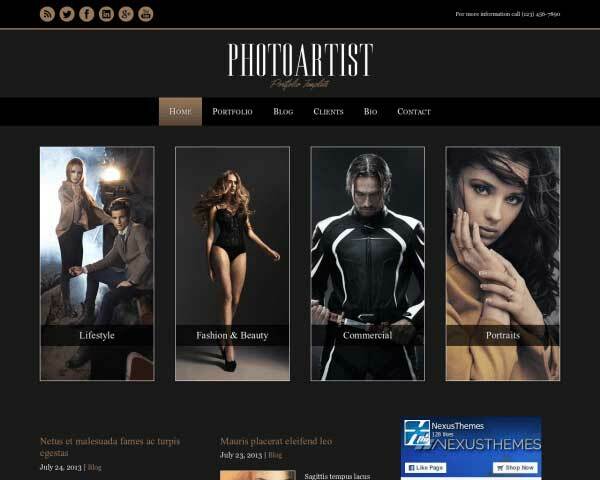 Don't let a lack of coding skills or a big budget keep you from having a customized photography website! 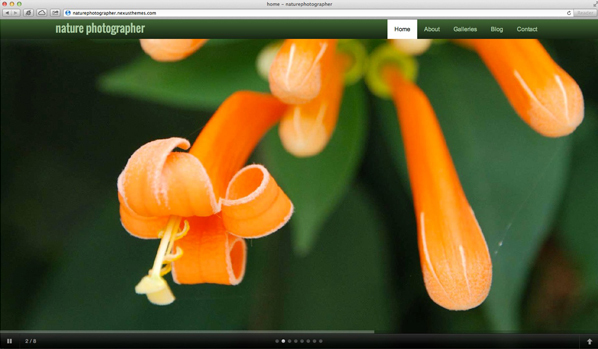 The Nature Photographer WordPress theme is affordable and easy to update and maintain. Ideal for any photographer who wants to build a striking online portfolio, the Nature Photographer WordPress theme is designed with outdoorsy hues and multiple image galleries to provide an elegant backdrop for your work. Visitors will be greeted with a gorgeous full-page slideshow and quick navigation to your bio, contact details, blog and more photo galleries. 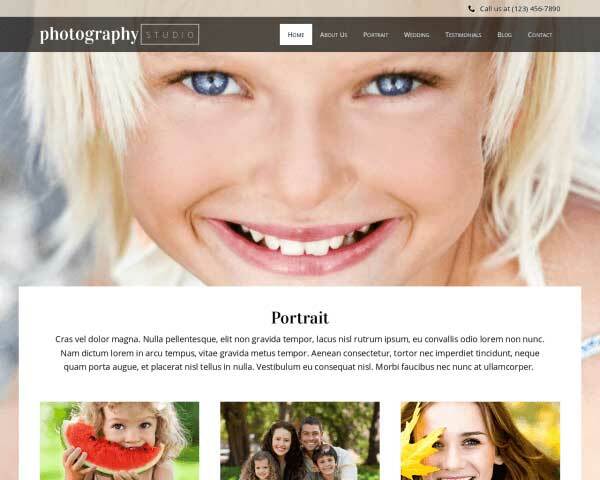 All it takes to create your personalized photography website is to add your own photos and text to replace the demo content. We've made it easy to change the color scheme and rearrange page layouts through our unique visual front-end editing tool. Absolutely no coding is necessary to customize and style your content. This pre-built website template for nature photographers comes with premium features like integrated social media, lightbox image galleries, a simple SEO manager and sleek mobile-optimized design. The Nature Photographer WordPress theme helps you get a professional photography website online fast so you can spend more of your time photographing the great outdoors! 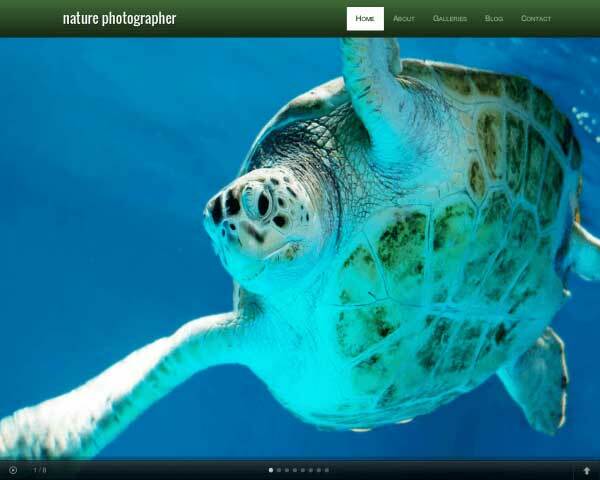 The Nature Photographer WordPress Theme features a blog section to share tips, news and articles. We've even included a few sample posts to get you started. The Nature Photographer WordPress Theme is built with the business needs of photographers in mind. Everything you need is included to help you get your website online fast. 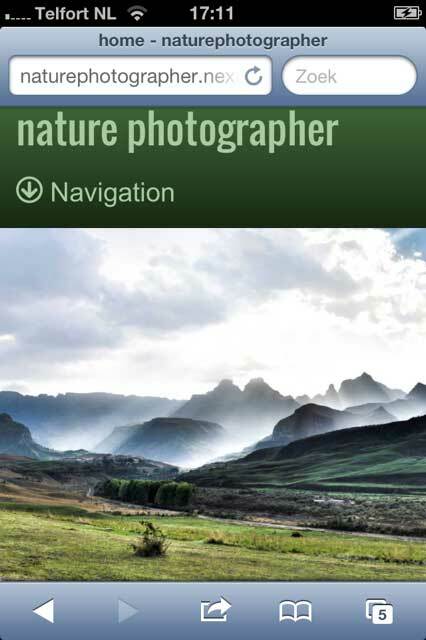 The contact page of the Nature Photographer WordPress Theme features an integrated Google map and customizable contact form, along with space for any other features you might want to add. 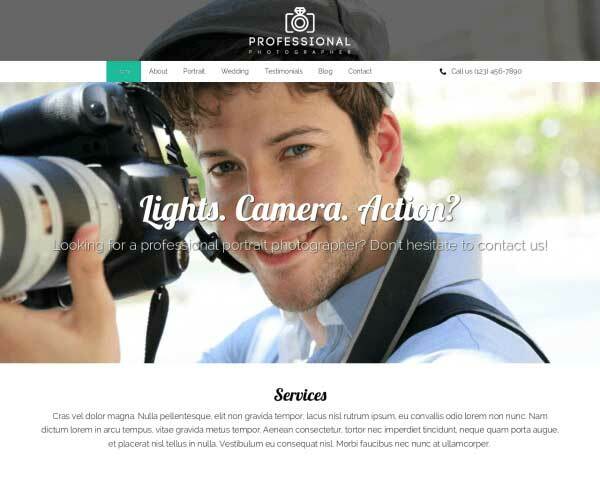 A full page slider and intuitive layout makes for a site which will come across professional and appealing. 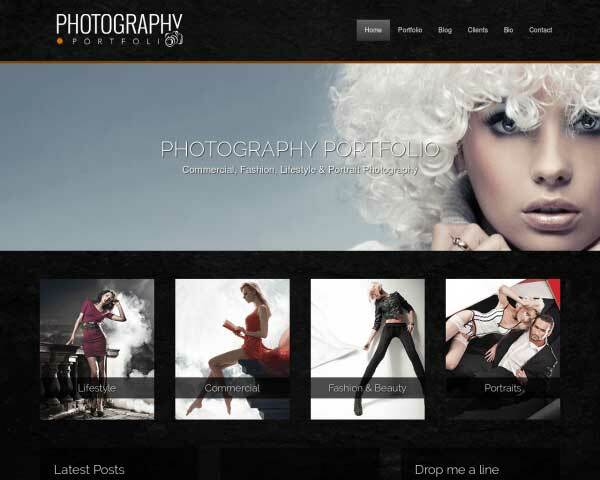 Naturally, as an photography business you'll want a solid portfolio gallery. With the Nature Photographer WordPress Theme you've got that area covered. The Nature Photographer WordPress Theme features attractive icons for the most popular social media platforms, allowing visitors to easily follow you online or share your content on their own pages. 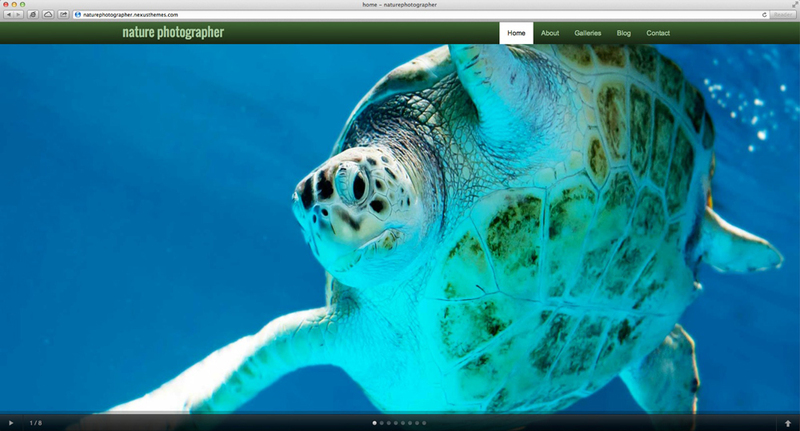 A staff page is already set up on the Nature Photographer WordPress Theme. Just replace the photos and placeholder text to introduce each member of your team. Treat visitors to gorgeous full-width photos and intuitive navigation when you build your online portfolio with the responsive Nature Photographer WordPress theme. There's no need to search for plug-ins or write custom coding thanks to our mobile-optimized design. The layout of your content will automatically adjust to display beautifully on every type of browser or handheld device. 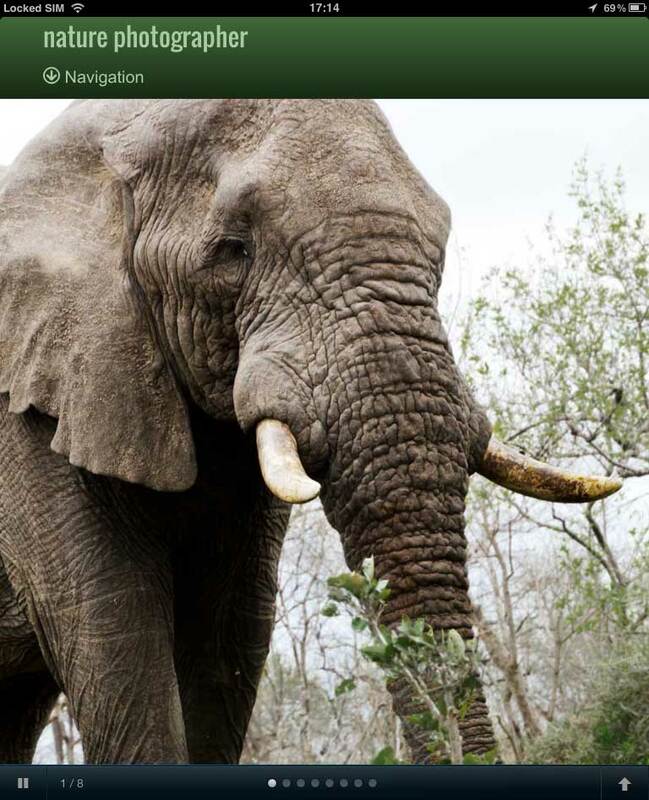 You can add image galleries, posts and pages with confidence knowing that the mobile version of your photography website will always look great on smartphones and tablets too.